PT360–– Today, leaders at PT360 are coming together with the American Orthopaedic Society for Sports Medicine, American Academy of Orthopaedic Surgeons, American Academy of Pediatrics, American Medical Society for Sports Medicine, National Athletic Trainers’ Association, National Strength and Conditioning Association and Safe Kids USA to promote the STOP Sports Injuries campaign. The campaign educates athletes, parents, athletic trainers, coaches and healthcare providers about the rapid increase in youth sports injuries, the necessary steps to help reverse the trend and the need to keep young athletes healthy. The STOP Sports Injuries campaign highlights include teaching proper prevention techniques, discussing the need for open communication between everyone involved in young athletes’ lives, and encouraging those affected to sign The Pledge to be an advocate for sports safety. The campaign website and pledge are available at www.STOPSportsInjuries.org. Sports injuries among young athletes are on the rise. According to the national Centers for Disease Control and Prevention (CDC), high school athletes, alone, account for an estimated two million injuries, 500,000 doctor visits and 30,000 hospitalizations every year. PT360 is proud to be a part of this movement. The high rate of youth sports injuries is fueled by an increase in overuse and trauma injuries and a lack of attention paid to proper injury prevention. According to the CDC, more than half of all sports injuries in children are preventable. 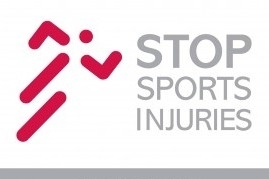 Supporting the STOP Sports Injuries campaign are the country’s leading sports medicine organizations along with professional athletes and business leaders who have signed on as members of the campaign’s Council of Champions. This Council will help raise additional awareness about this growing epidemic of youth sports injuries. Some of the founding members of the Council include former Olympic champions Christie Rampone, Eric Heiden and Bonnie Blair, professional golfer Jack Nicklaus, NFL Hall of Fame quarterback Bart Starr, MLB baseball player John Smoltz, NFL Hall of Fame defensive end, Howie Long, and Heisman Trophy winner and St. Louis Rams quarterback Sam Bradford.